As a literacy coach, I have the good fortune to work in many classrooms alongside teachers, and while doing that, get to see a wide variety of mentor texts used with students. One of the books I read recently was purchased after I saw a teacher use it as a mentor text for her narrative writing unit. Dog Breath: the Horrible Trouble with Hally Tosis has been around since 1994, but I had just never seen it. As I watched a 3rd grade teacher read it with her students, I found myself guffawing (I was way past laughing!) as the story unfolded. The teacher who used this book used it as mentor for how narratives can have problems and solutions and story arcs. It worked beautifully for this as students could clearly identify the issue of the story: the dog, Hally Tosis (you have to love that play on words! ), has incredibly bad breath which presents a real problem for his owners. The dog with bad breath had the name, Hally Tosis. When the children, trying to solve the problem, took him to see "breathtaking views." They also tried to take him to a movie that advertised it would "leave you breathless." Then the roller coaster that advertised "You'll lose your breath on our roller coaster." "But that idea stunk too." The last line of the story: "Because life without Hally Tosis just wouldn't make any scents!" All sorts of fun to be had with words!! 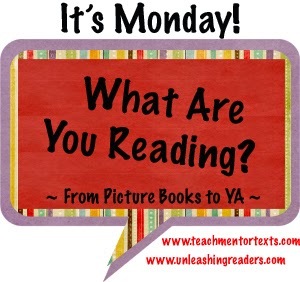 Thanks to Jen for hosting the kidlit version of It's Monday, What Are You Reading? 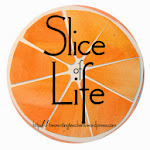 Head on over to her blog to see some other wonderful titles. I actually had to go back and research what word I used for my #OLW this past year; I think that speaks to the fact that the word didn't find me, but rather I went looking for it. I could make up a post about how it truly guided my life this year, but it would be false, so I'm not even bothering. This year, my word absolutely found me: COURAGE. Many of you know this, but my mom died this past month - Dec. 13, to be precise. It came on the heels of the painful loss our friends had. It has been a difficult holiday season in many respects for my family and me. But a friend who had recently lost a parent reached out and introduced me to an author I didn't know with this article. Glennon Doyle Melton's article spoke to me in important ways; ways that are helping me survive the grief of this past month. "Courage Today." That was something I could wake up each morning and try to live by. One day at a time. This was manageable, at least most days. Others were meant to be grieving with naps, tears, or total lethargy. 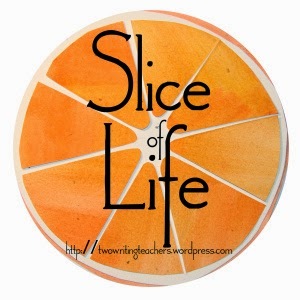 I truly wasn't going to participate in #OLW this year; it felt like one more thing on a plate I was barely balancing as it was. But there was that word - COURAGE - that I have been saying to myself each morning. Give me courage today. It was calling my name and I had to respond. 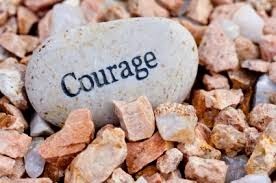 So COURAGE is the word that will guide me this year because it is currently helping me get through the day emotionally. But, I think the longer-lasting impact of COURAGE will be important in my life as well, especially as I approach a new decade of life this year. Courage to take even more chances professionally. Courage to push my body to try new things athletically. Courage to embrace all the small moments of life. Courage to share the hard stuff; not just the good. Courage to reach out and help others less fortunate than me. Courage to embrace my new decade and all the wonderful it will bring.